Casey Checchio graduate in 2008 from Apollo College in Spokane, WA. 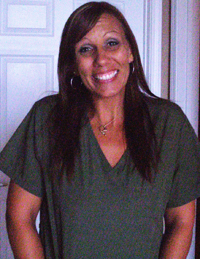 Case is ABMP certified and specializes in deep tissue massage. Casey also practices chair massage, pregnancy massage, sports massage, Swedish massage, myofasical release and hot and cold therapy. Before joining Payne Chiropractic, Casey was employed by Sacred Heart, Champion Chiropractic, and Eglin Air Force Base.